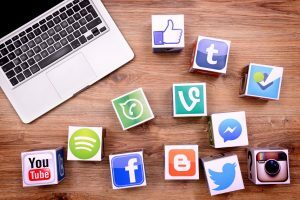 If you’re hoping to make your dealership a success, you know at this point you must include social media as part of your marketing presence. The number of people who use social media is staggering, but the true power is in its connections and communities. Whatever cars you’re selling, there are multiple communities just a few clicks away. But when it comes to successful automotive social media marketing, what are best practices and recipes for failure? Here are the do’s and don’ts of automotive social media marketing. When it comes to social media posting, you need to be regular enough that people come to recognize you as a quality part of their feed. However, the trick is to ensure you are always providing quality posts that are interesting, amusing, engaging, and informative for your followers. Don’t just churn out content for the sake of doing so; that’s the best way to lose followers. The power of social media is in its communities. People from all over the world interested in the same thing can come together and share ideas. These communities already exist, so look for ones that fit your product and service, and become a quality member. Share great posts and talk to people. Don’t go in there pushing sales. Be the expert people trust and come to when they’re ready to buy a car. It’s very easy to go wrong on social media. That means you need to spend the time researching and understanding how to market effectively on the platforms you’re using. This can be time consuming, so don’t be afraid to tag in a partner who knows automotive social media marketing as well as you know selling cars. A big part of social media is the user experience, especially those that are interactive. Linking to videos, infographics, quizzes, and other content is an experience, not just information. If you can learn to create quality content that engages, it will be shared further, so you’ll reach a greater audience. It may feel like an easy way to look impressive, but this is a slippery slope. These are not true followers; that means they will not provide you with support or community when you need it most. It’s better to have a small, engaged community than to make it look like everyone is following you on Instagram. Social media is about people, so ensure you engage with your followers as much as they’re engaging with you. To do it right, social media will be a full-time job. If you treat your platforms as a cheap way to push out your advertising, you’re missing out on the real power. Real conversations will build trust, position you as an expert, and make you an interested purchaser’s first choice. Social media moves fast. There are times when your best-crafted post will fail, and times when the least of your posts will go the farthest. Learn to leverage the times that work for you, and put your best posts out then. They’ll go farther, be seen by more people, and build the best community. You know the headlines we’re talking about—“You won’t believe what these people are doing!” Click-bait headlines tap into an instinctual human nature (that’s why they’re effective at getting noticed), but they rarely have any substance to back them up. Remember, the goal of your automotive social media marketing is to increase sales, and you can only do that with real quality. Use these do’s and don’ts as your initial guide and you’ll be on your way to a successful automotive social media marketing strategy.